Instead of flora, fauna and “merry” weather, the spring equinox brought about more blustery winds and arctic temperatures. Seasonal affective disorder is abundant as the lack of sunlight darkens people’s moods. We all know what happens when we are sad: smiling goes out the window. This spring, Sugar Fix Dental Loft is on a mission to bring back that grin so you can take it for a spin. Being the proud owner of a radiant smile is a perfectly acceptable reason to smile this spring. Unfortunately due to a crippling dental phobia, many people are afraid of the dentist and therefore, are not receiving the proper oral care that leads to a brilliant smile. Nobody should have to be nervous about their visit to the dentist. 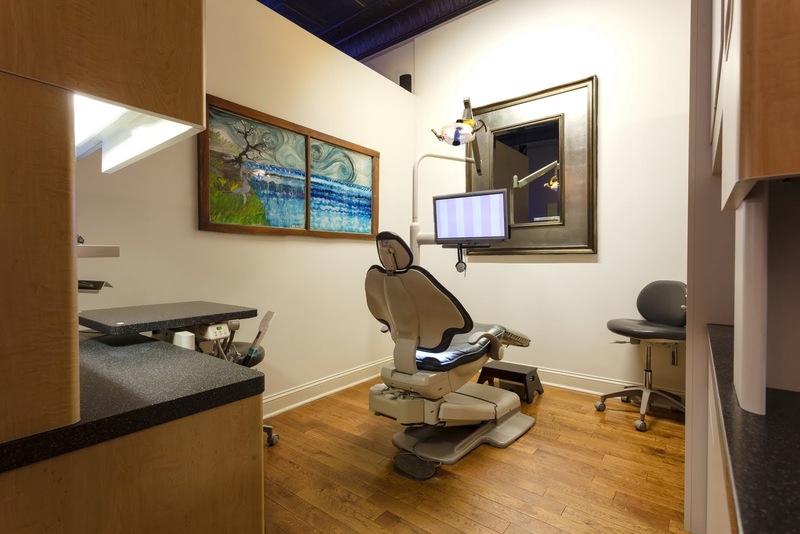 Chicago cosmetic dentist Dr. Jessica T. Emery, founder of Sugar Fix Dental Loft, strives to spread the word that dental appointments are not scary. How does she do it? Sedation dentistry. As the name suggests, sedation dentistry is a technique used by a trained dentist to create a calm experience for people receiving dental care. Dr. Emery administers a sedative that will not render you totally unconscious, but will relax you. This technique is safe and most patients love it because they often feel that the procedure lasts only a few minutes when in fact, Dr. Emery has had the opportunity to complete numerous treatments. That awful feeling of worry, nervousness or unease that hits us before an imminent event or something in your life that has an uncertain outcome is much too prevalent in our everyday lives. Anxiety affects many people in many uncomfortable positions. We feel it before going to work, knowing our boss is going to berate us. We feel it when a family member loses their job and has three kids to put through college. We feel it when taking a huge risk and jumping off the stale career track. Nobody should have to feel anxious while visiting the dentist. Having your teeth cleaned should be an experience you look forward to; not dread. Sedation dentistry takes the anxiety away so you can smile every day. Dr. Emery has received special training in outstanding patient care from the Las Vegas Institute for Advanced Cosmetic Dentistry (LVI) and is a certified member of DOCs Education, an accredited program. Sugar Fix Dental Loft aims to provide a serene and delightful experience for everyone. Sugar Fix is here to say that cosmetic dentistry can be a dream come true. If you suffer from extreme sensitivity and even a basic twice-a-year teeth cleaning causes you pain, sedation dentistry is here to save the day and take away the pain. While relaxing in your reclining chair, dreaming about your dazzling teeth, Dr. Emery is working wonders. Go from dreaming about a splendid smile to making it a part of your reality. Contact Dr. Jessica T. Emery and discover the wonderful world of cosmetic dentistry that her private practice offers.